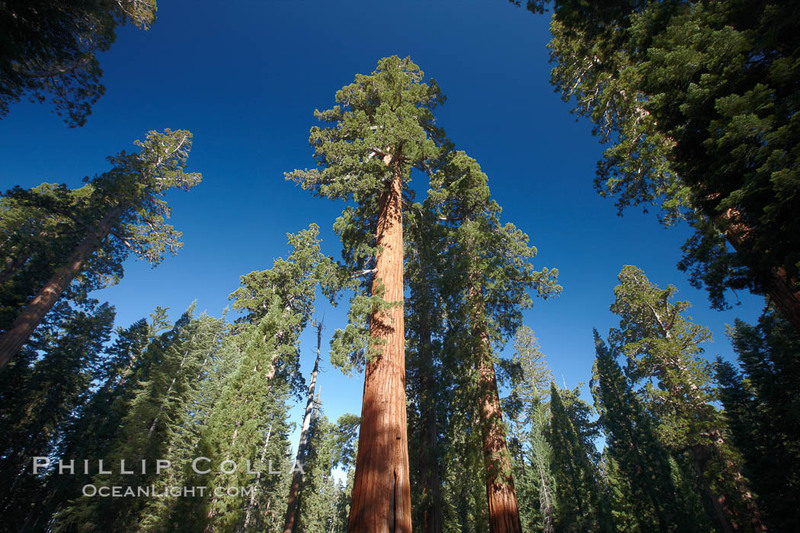 Many of my giant sequoia pictures are now on Photoshelter, which is the source of this nifty slideshow. Sequoia trees really are the most majestic of all plants. They are the largest (i.e., most massive) life forms on earth, and they are nearly the tallest (exceeded only by their cousins the coastal redwoods in the Pacific Northwest). Giant sequoia trees are one of the longest lived organisms on earth, exceeded in longevity most notably by Ancient Bristlecone pine trees (Pinus longaeva). Enjoy images of these “pillars of the sierra”. My website also has many giant sequoia tree photos (Sequoiadendron giganteum). Keywords: sequoia, giant sequoia tree, photo, picture, image, Sequoiadendron giganteum, Yosemite National Park, Sequoia National Park, California, sierra nevada.